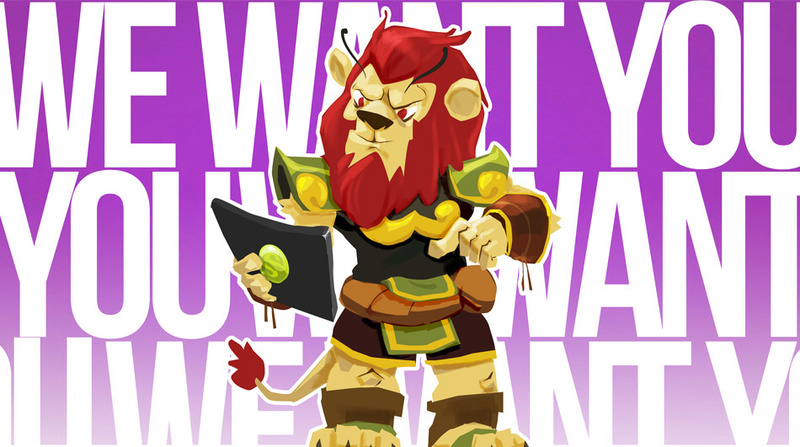 Days ago, the DOFUS Touch official site posted a interesting recruitment notice to hunt for some players who are interested in being a in-game moderator and familiar with DOFUS Touch and its specificities. This job is for volunteers. And the moderators' main mission is to preserve a friendly atmosphere in game, it's that to mean ensure that the rules of DOFUS Touch are respected. To ensure that the game remains user-friendly, they can get support from Ankama and use specific tools. The volunteers' work place can be everywhere they can reach as long as they can get into DOFUS Touch world. They have no authority to communicate with the production as they can only communicate with the community management team members. For the purpose of avoiding conflicts of interest and for his own protection, the Moderator must remain anonymous in all circumstances and is not allowed to moderate on his own gaming server. Of course, the moderators should keep the message they get from Ankama secret. First, you should be 18 years of age or older since the job involves a lot of rigor, maturity and pedagogy knowledges. Then the mederator should master the only language that allowed to be used, the French language. The most important thing is the understanding of DOFUS Touch. Usually, the Moderator will confront with different questions around the game, in order to best reply the players and enforce the game's rules, you should have a solid knowledge and understanding of DOFUS Touch and its rules. After reading carefully the prerequisites, if you have the confidence that you meet all the necessary conditions to become a good Moderator, fill out an application form list in the official site and using the message Ankabox to send the message to [Nyom]. Remeber keep the title become "Candidature Moderator Game" and the correct layout. The response message will be back to you once you are admitted. This job interest you? Take action before January 16, 2017 which is the deadline of the activity. You can grab more details on DOFUS Touch, further information about specifics of any of the above and more over at www.dofustouch-kamas.com.